It is a wonderful medium to express an interest or show your skills, to gain inspiration or simply to look at beautiful things. The great thing is the interconnectivity of it all. One thing will lead to the next and so on. It is almost limitless. There are a few that keep us coming back for more. Here is a run down of the sites we reference for inspiration, motivation and vision. A beautiful mix of denim, boots accessories, interiors and the odd beautiful girl thrown into the mix. We love the way the images are structured tonally. 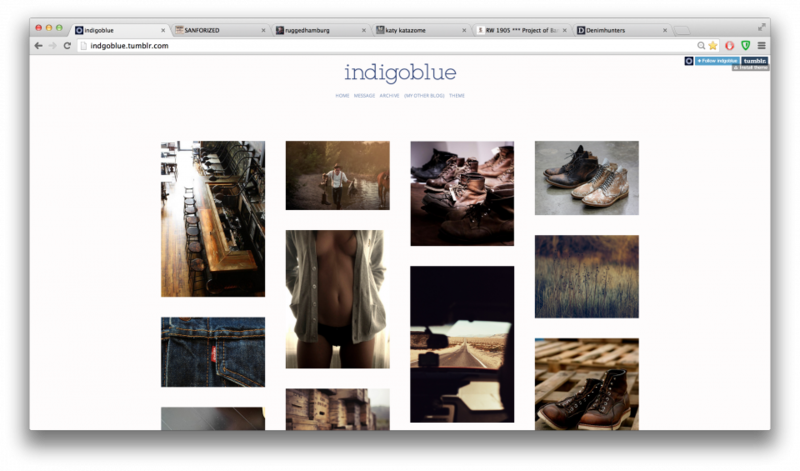 It gives a very homogenous feel to a site that is more curated than collected.Follow the Indigo Blue Tumblr here. 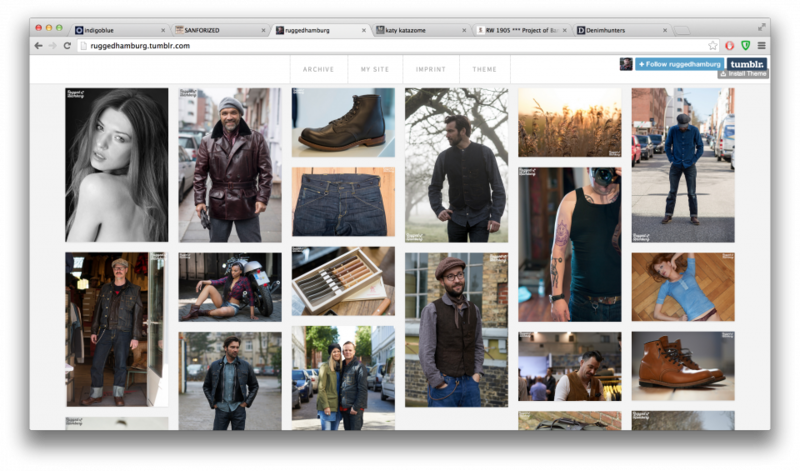 If you love vintage, Americana and denim then this is the site for you! Here you will find great images of vintage clothing. Genuine vintage photography and modern interpretations of the styles shown.Have a look for yourself here. A collection brought to us by photographer Oliver Breitwieser. Rugged Hamburg brings together an eclectic mix of inspirational images. Denim is heavily present in the offering with some street style shots that are sure it inspire.Check out the latest updates here. We covered the fascinating tale of STORY mfg. a while back. 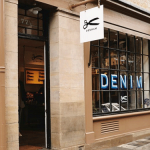 We love their take on the British denim scene and their dedication to tradition. 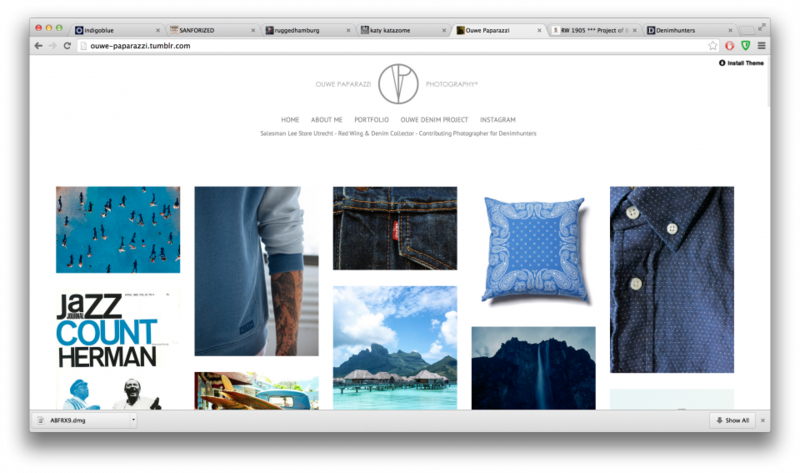 Along with the brand’s site, they also have a Tumblr that is the most true (indigo) blue on this list. From Americana to traditional Japanese and everything in-between. If indigo has touched something, it is welcome in the STORY mfg. 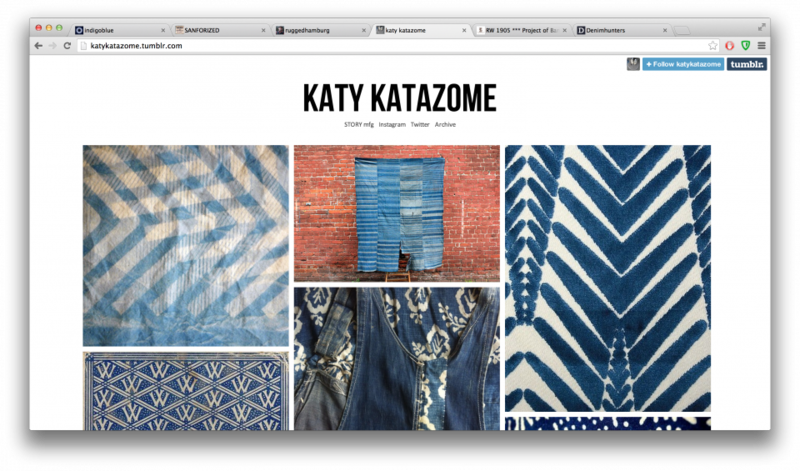 Tumblr.See more beautiful indigo dyed garments and fabrics here. Our very own contributing writer and photographer, Michael van Hal brings us Ouwe Paparazzi. 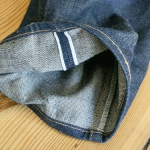 As well as taking some great shots for us at Denimhunters, Micheal documents his denim days with personal photography on his own Tumblr showcasing his inspirations and interests. Naturally, heavy on the denim.Follow Michael’s Tumblr here. So there you have it folks, these are some of the sites that keep the Rope Dye team coming back each day for a dose of inspiration. This list comes with a little warning however, they are addictive. 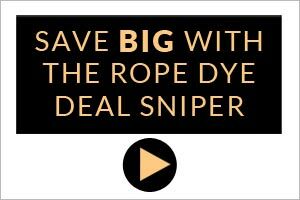 Denim Don Daniel Padilla Werner turns to Rope Dye to help him with a Levis RED flag problem.